Thinking about buying a new car, but want to make sure it’s not a lemon? Bring it into Steve’s Imports where nothing gets by our expert mechanics. Because with 40 years of experience and a completely ASE-Certified team of mechanics, we know what to look for when a car comes in. 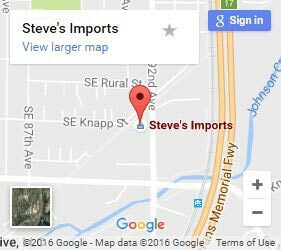 Steve’s Imports in Portland is an auto repair shop providing full-service mechanical repair, body restoration and vehicle inspections to residents of Gresham. If you’ve got a car you’re looking at but want an expert opinion on, our auto repair shop is standing by to provide high-level diagnostics to any import. Whether you’re looking at a new car, going on a road trip, or planning on testing your 4×4 in the backcountry, a comprehensive vehicle inspection is a smart idea. Other than our pre-service diagnostics, some of the most common inspections we do are for folks looking purchase a used vehicle. Even if you’re pretty good with cars yourself and are dealing with a trustworthy seller, it never hurts to get an expert opinion. Getting ready to set off on a cross-country road trip? We’re excited for you! But before you go, getting your car looked at is always recommended. Because the last thing you want when you’re driving for the long haul is for your car to leave you high-and-dry on the open road. Nothing can put your truck or SUV to the test quite like taking it offroad. While most of our customers who are keen on taking their car off the beaten path have a good idea of what’s happening with their high-clearance rigs, it’s always better to do your vehicle inspections while you’re still on the grid. Somebody telling you that you’ve only got today to make a decision? Hitting the road (or the offroad) when the clock strikes midnight and not a second after? 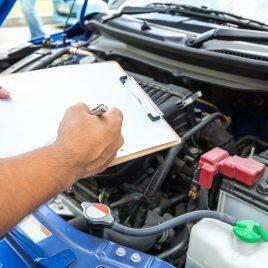 Most of the time, our guys can inspect your vehicle on the very same day. All you’ve got to do is call us up, give us the rundown, and let us evaluate your ride. 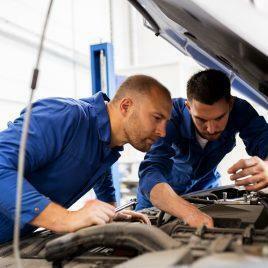 If you need an inspection of a new-to-you vehicle, we can even work directly with the seller if it makes things easier. Consider us your personal car counsel. We’ll take a look at the vehicle you’re thinking about and give you our real, expert opinion, and provide you with a line-by-line inspection report that completely explains our findings in detail. In the event that we find anything of concern, including the little things like dents, dings, or scratches, we’ll note it in the report and even provide photographic support. As a prospective car-buyer, What this does for you is provide valuable bargaining power than you can use to get the best deal possible on the car you’re looking at. Whatever your reason is to put expert eyes on your car, Steve’s Imports is happy to help. Give us a call, or just drop in with your vehicle to let our car mechanics take a look at it.